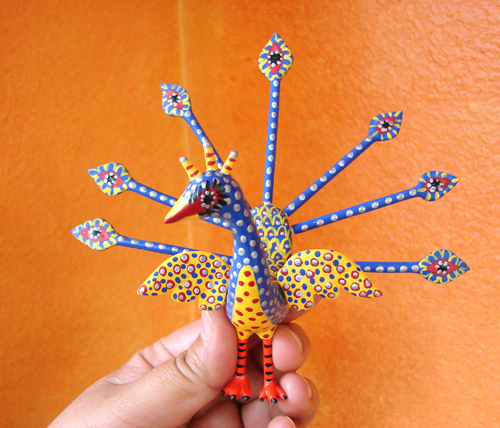 My inspiration for this week was the wonderful "Alebrijes" from my country, Mexico. The "Alebrijes" are wonderful and colorful creatures made with hand carved copal wood sculptures and painted with a lot of bright colors. The first Alebrijes were made out of cardboard or papier mache. I choose to create a peacock in this style and I have to admit I had a great time. I did notice that I will have to look for better paint brushes to be able to paint better and finer details in the piece. I do not have that type of brushes and I did the best I could to make it. 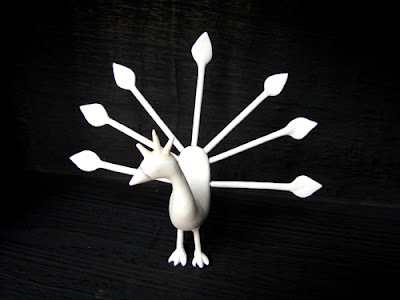 I started by sculpting the peacock with Creative Paperclay. Typically the alebrijes have pieces in the sculpture that came apart. In my case I made the feathers and the wings detached from the piece. 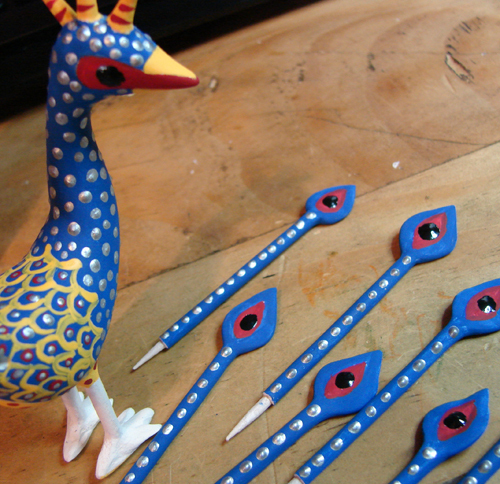 After I sanded the whole piece I started to paint my bird with some vivid acrylic colors. My Peacock found a home in my "Sun Room" !! Beautiful! 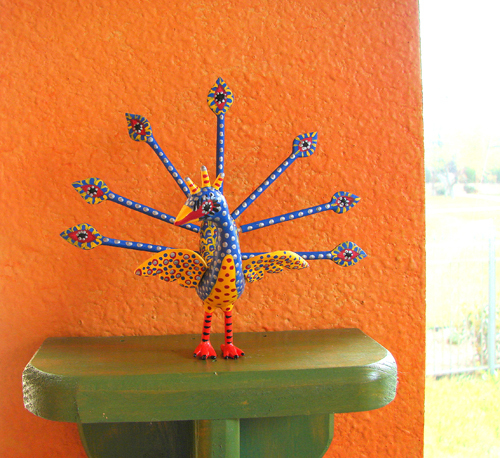 Very mexican folk art. You are a great artist. Lora: Love you my friend !! I am happy you like what I make. Love coming to your blog and seeing all the lovely and wonderful things you create...you are such an inspiration. I love Alebrijes too and have some of them in my home. It is amazing what the artisans do with a piece of copal wood!! I am glad you enjoyed my blog posts ! !